Player of baroque violin with AK Barok now named NZ Barok, since 2004. Continuing in 2010 Rosana has been leader for performances of Handel�s Brockes Passion, Xerses and most recently The Occasional Oratorio. Previous performances include concertmaster for Alceste, Semele, Joshua in 2006, Alexander�s Feast in 2007, Athalia in 2008, Rodelinda in 2009, all directed by Robert Howell. 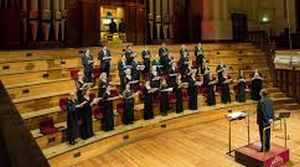 Since 2001 has played with the Pipers Sinfonia and the Auckland Choral Society choir, leading on 3 occasions. Player with Musica Sacra directed by Indra Hughes.